40+ workshops with 30+ international teachers. His passion is to do what he loves and sharing it with others, with a social and humanitarian vision, inspiring and sharing his practice and experience with other teachers from different places and taking his practice to places such as hospitals, prisons or youth centres. He likes to participate in workshops, classes, retreats, conventions and festivals with friends from all over the world. With other friends he organize the Harakati Movement Festival and is part of the Acrology Team with which he organize retreats and other events. Veronica & David are strong believers in the balance between body, mind, and soul. They lead a simple life nurtured by the connections with the wonderful people met along the way. All together creating a big international net of trust, playfulness and authenticity. They aim to bring more consciousness to the physical oriented world we live in today exploring on the deeper, subtle levels through their project AKA (Authentic Konnecting Acroyoga). They set an environment where humans feel empowered at every level allowing even the more introverted to find their platform for flying high! Veronica’s journey of self-discovery started through movement as a child, first with gymnastics, then dance and later on with yoga. She accidentally bumped into Acroyoga in 2012 which has turned her life upside down :) Acroyoga Montreal and AcroBhakti are her source of inspiration!. She is always ready to play and learn to teach and teach to learn. Émé is a passionate acroyoga and movement teacher with a background in yoga and dance (contemporary and contact improvisation). After practicing yoga for over 10 years and teaching for 3, she discovered acroyoga and a new inspiration in the power of play and human connection. Her style draws from her teacher training with AcroYoga Montreal that combines dance, awareness and strength. She hopes to inspire a sense of listening, curiosity and body awareness through the practice of acroyoga. At the moment, she is studying dance and somatics at ISLO in Joensuu, Finland. After some years of playing the drums in a circus orchestra, Eva decided to change sides over to the acrobats when she was 18 years old. Starting off with vertical silks acrobatics she soon rediscovered her passion for partner acrobatics, which she had come to love earlier through her work as a Rock’n’Roll teacher. In 2017 she did her teachers training with AcroBhakti in Argentina and is very excited to be back now for the nordic acro yoga festival 2018! After years of performance and dance background in ballet, Gina stumbled upon her playful spirit as an acro yogi at a yoga studio in San Diego. She now owns a Pilates studio, offers acro classes and workshops regularly in San Diego, and over the last few years has taught or participated in festivals such as AcroLove, AcroGasm, Wanderlust and Divine Play. With Japanese and Norwegian heritage, and medically certified as having the "blood of a lumberjack," Gina would make a formidable foe if she weren't so ticklish and prone to laughter. When she isn’t doing acro you can find Gina surfing, dancing, eating sushi, or playing in her garden. Gregory McCabe is a level II certified Acroyoga teacher and has been sharing his delight with Acroyoga since 2011. 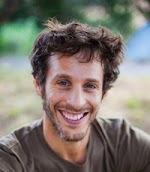 He has trained under some wonderful Acroyoga teachers and brings experience from all over the world. He brings his love for connection and play into his teachings. I love to share what Yoga and AcroYoga taught me about myself – connecting to my innerself, feeling trust and by getting out of my comfort zone and inviting playfulness back in my life I am able to do things I have never thought I could. Julie is a creative soul with lot's of joy for movement. When she is not doing acroyoga, she is either on a slackline or working on her latest creative project. She loves understanding the details and is a francophile. She studies fashion design in Copenhagen. When I teach AcroYoga I love to see the possibilties that every person carries inside and brings it out through the practice and the uplifting energy of the AY community. My yoga journey started in 2001 when I got pregnant with my first child and decided to try yoga. I fell in love with the practice and the calmness I found within myself. Since then I've been practicing different styles of yoga but today my main practice and teaching is Hatha Yoga. I lead dynamic yet calm classes using the whole body, finding the balance between challenge and comfort. In my classes I emphasize mental awareness in every pose and transition. It is about exploring every aspect of movement of your muscles and breath, while maintaining mental focus. I strive to encourage my students to find stillness and softness in their movement however dynamic the class may get. We move with the breath and find new challenges in old and new postures. Pernilla is a thai yoga massage therapist trained by the sunshine house network. She is a former acroyogi, and a bodyworker with inspiration from different disciplines such as osteopathy, osteothai, Swedish massage and others. She is also trained in anatomy and physiology from the University. Pernilla's style in thai yoga massage is soft, listening and allowing. As a therapist she allows the body space to heal itself. Peter Elmberg is the founder of Mundekulla. He moved to a little cottage in Mundekulla for a year in solitude in 1997 and started writing his own music. Since then Mundekulla Retreatcenter has grown and is now celebrating 20 year anniversary. Music is still one of Peters major interests and dedication. Welcome to join him in singing songs from his latest project called Mindfulness songs (inspirered but Thich Nhat Hahn) as well as other "Mundekulla songs". A great start of the day! Peter loves to move and wants to do acroyoga when he is 80 years old. He has danced, practices parkour and yoga, and wants to train in a sustainable way and with the heart in the right place. He studies physiotherapy in Copenhagen. With playfulness and mindfulness, Sara creates a safe and curious space for people to grow. She has a background in ashtanga yoga, traditional swedish massage, ming massage, reiki and a passion for tantra, kayaking, climbing, nature and salsa. When stumbling across acroyoga some years ago, it was love at first… hmm… connection. Simply because acroyoga with its acrobatics, therapeutic flying and thai massage - embrace and include so much that make peoples souls and bodies happy and healthy. Consciously and unconsciously. As a AcroBhakti certified acroyoga teacher, she leads workshops, classes and yoga retreats in and outside of Sweden. Sara says: Feel good - do good, and have fun while doing it. Sara creates a space that people feel welcomed, challenged and accepted. Her commitment to honesty and growth allows you to trust in her process and delve deeper into yours. 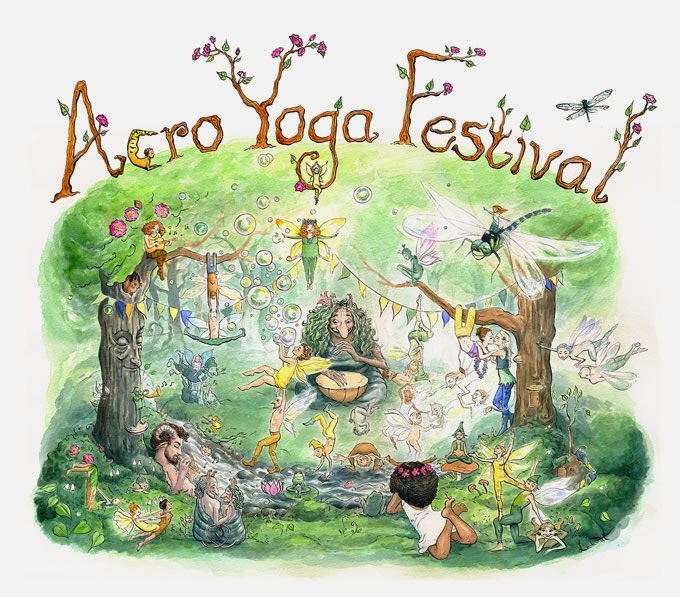 Simon Christian Larsen started teaching acroyoga in the rainforest of Costa Rica. Since he moved back to Denmark, he's been sharing his passion with people in Copenhagen. He loves the playfulness, the trust and the teamwork that characterizes acroyoga. Learn more about him here. In 2006, Sophia and Winni began their shared path into spirituality, yoga, healing, and the power of community. Guided by their longing for authentic self-expression, a fulfilling life of service and a healed earth, they dedicated themselves to their own inner evolution. This journey led them to learn from many inspiring teachers and collect and develop invaluable tools that they lovingly pass on to others. In particular, they find great joy in sharing their experience and wisdom from the fields of Acroyoga, Yoga and Thai massage. Their mission is to create spaces in which deep and heart-felt connection may be experienced - with ourselves, our inner Self, our body, the elements of nature that are in and around us, our fellow human beings and the Divine. Spaces in which everyone is invited to share the light of who they are and experience being in community free of dogma, judgement and competition, coming together with the purpose of creating beauty and embodying joy. Flying in from San Diego, Steven comes to the Nordic Acro Fest with strong love and appreciation for the international acro community. First taking to the air in Bali many moons ago, his pursuit of the flying arts has since continued around the globe. A former Captain in the US Army, Steven is additionally the veteran of numerous acro yoga trainings and events such as Divine Play, AcroGasm, AcroLove, and the New Zealand Acro Fest. He has taught acro on five continents and continues a steady teaching practice in San Diego, adding in performances from time to time with his partner Gina. Outside of sharing his joy for acro with others, Steven also moonlights as a writer, viking impressioniste, gelato aficionado, and collector of fallen stars. 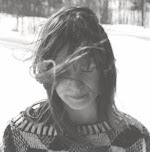 Tanja is a freelance dancer, choreographer and teacher within contemporary dance, based in Gothenburg, Sweden. Mainly working collaboratively and inter-artistically with somatic practices, the political body in dance, improvisation, partnering and floor-techniques. In exchange we offer a reduced price: 1950 SEK (regular price 3500 SEK). This price includes the organic food and camping space. The amount of volunteers is limited, and it depends on the amount of participants. More signups, then more volunteers needed. The signups for volunteers will be collected in a list sorted by chronological order. We will prioritise that order and the previous experience as volunteer. Note: There is NO refund in case of cancelation.